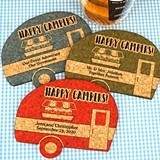 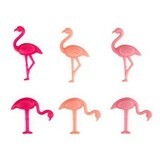 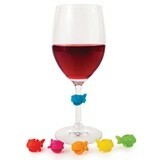 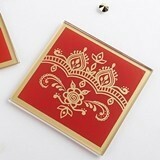 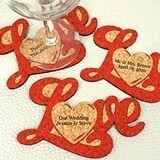 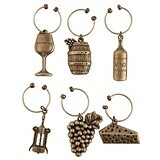 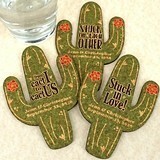 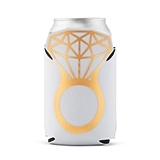 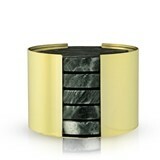 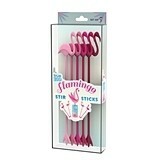 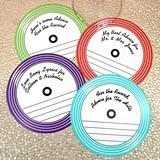 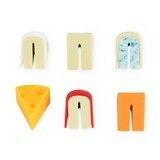 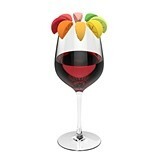 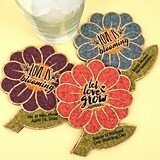 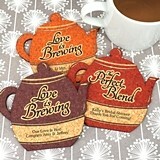 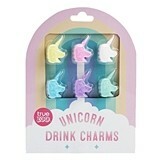 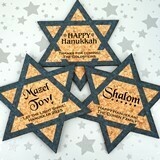 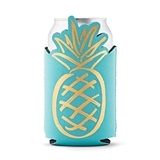 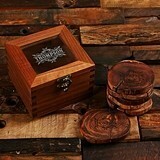 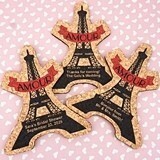 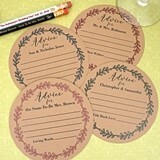 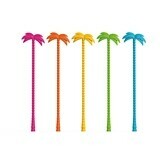 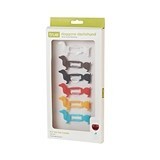 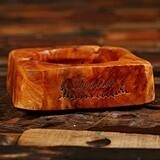 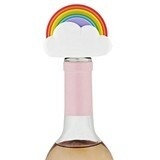 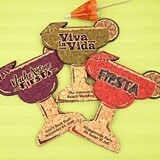 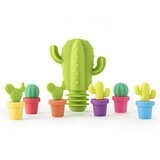 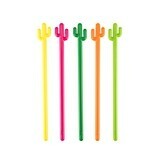 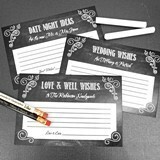 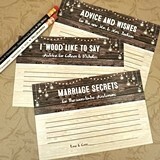 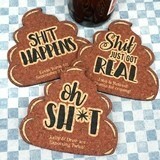 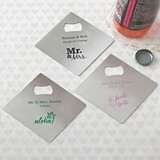 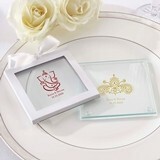 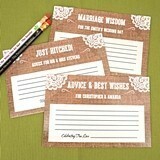 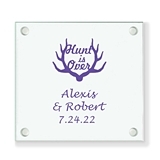 Looking for the perfect practical favors for the guests at your wedding? 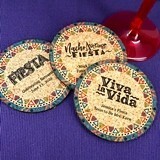 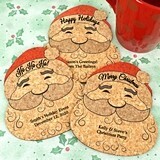 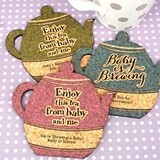 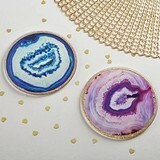 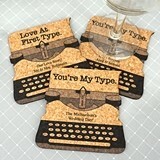 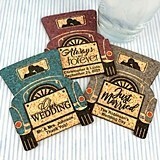 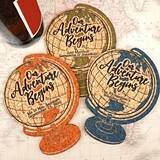 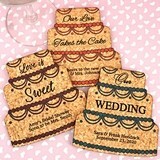 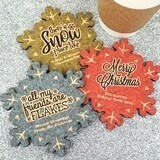 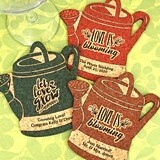 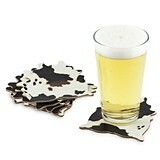 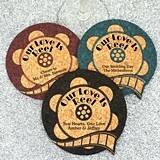 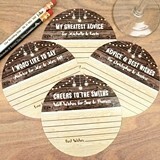 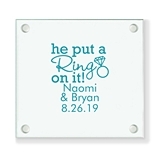 Well, many wedding experts will tell you coasters as wedding favors and personalized napkins for the reception fit the bill! 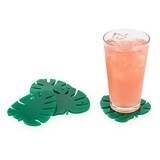 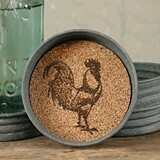 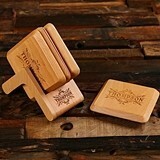 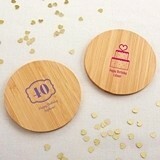 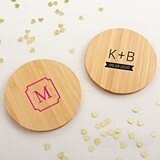 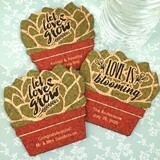 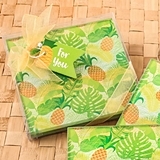 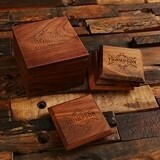 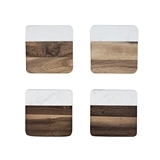 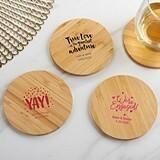 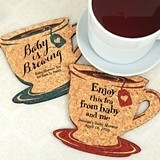 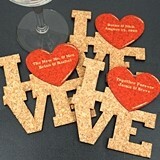 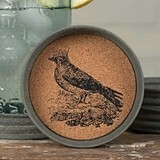 Whether you choose a simple but eco-friendly bamboo coasters wedding favor or elegant engraved glass coasters, your guests will treasure these gifts that they can take home with them and use for years to come. 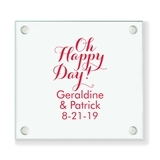 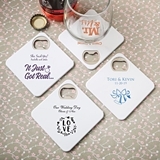 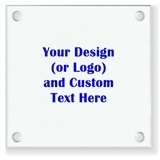 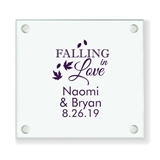 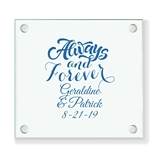 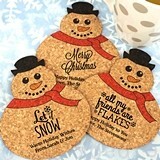 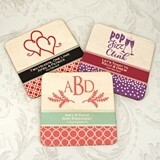 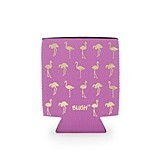 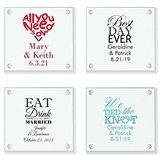 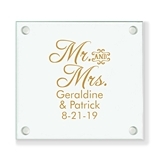 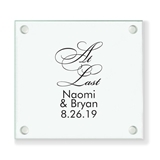 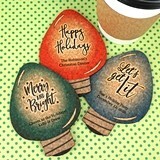 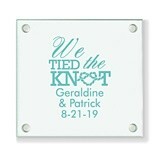 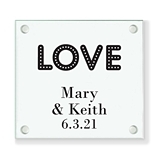 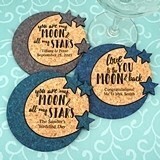 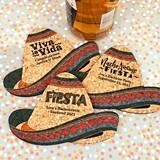 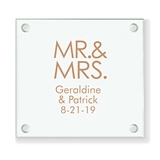 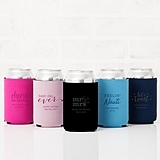 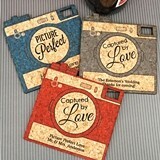 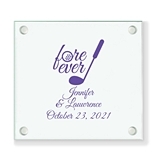 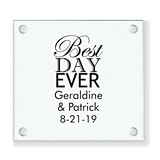 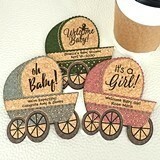 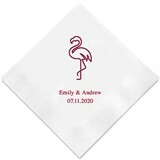 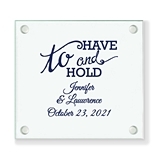 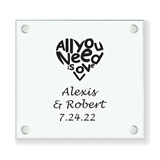 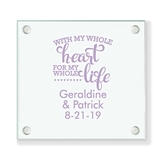 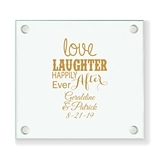 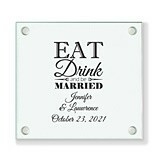 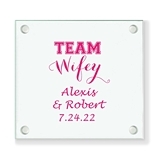 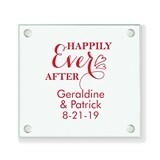 One great idea is to order personalized coasters or napkins for wedding favors where you can choose from an abundance of designs and colors, and include the couple's first names and the date of the wedding. 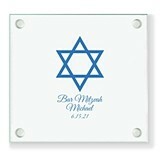 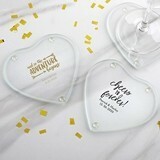 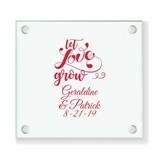 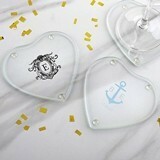 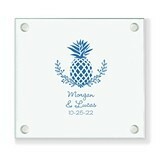 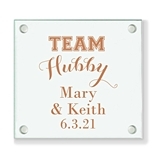 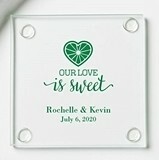 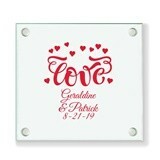 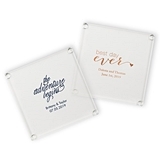 You can even find personalized glass coasters for wedding favors that double as picture frames in which you can insert copies of your engagement picture or use them as placecard holders at your reception! 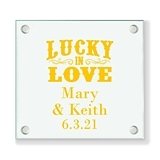 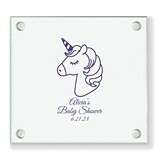 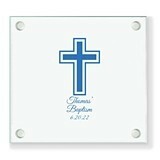 And your guests can use them as frames for their own favorite photos once they get them home. 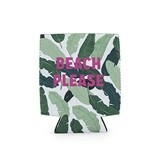 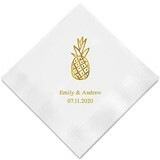 A cheaper option may be to order paper napkins that may also be personalized with your names and wedding date and a wide variety of design options including floral themes, monograms, damask, butterflies, intertwined hearts, seashells for a beach wedding … and even a stylized wedding cake!